Electric Patient Lift with Rechargeable, Removable Battery *Note: This item cannot ship faster than Express Delivery 5-7 days - SHIPS FREE! 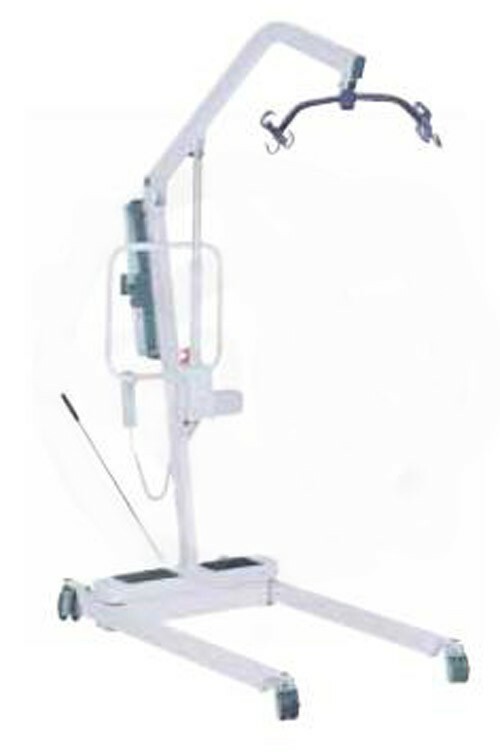 Drive Medical has produced several types of patient lifts, including both manual and electric models. This Electric Lift features a Six Point Cradle that works with 4 point and 2 point slings, and can support up to 450 lbs. The lift uses a remoable, rechargeable battery and external charger that attach to a wall mounted bracket. To charge, you only need to remove the battery and secure it to the external charger. A "CHARGE" light will automatically shut off when battery is fully charged. Though, it should be noted that the lift will not operate while plugged in. Additional rechargeable batteries are also available for backup or for institutional use. To warn of decreasing battery life an audible warning is played when battery power falls below 50%. But in the event that the battery completely discharges; the Jumbo actuator pump with emergency button can be quickly switched to manual mode to lower the patient down safely. The lift is built from heavy gauge steel and using an extra wide base to provide additional stability. Yet the mast and the base can be folded away for easy storage and transportation. 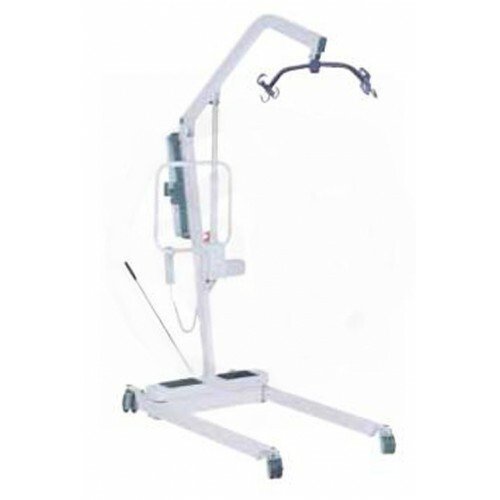 The Patient Lift has a Limited Lifetime Warranty. Does this lift repack in its shipping box for travel? We can't guarantee the item can be placed exactly how it was in the box for transport. It's best to contact the manufacturer for queries regarding re-packaging for travel.